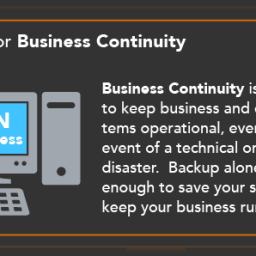 Today’s infographic provides brief descriptions of the many parts of a complete Business Continuity Plan. It’s time you protect your business from downtime BEFORE a disaster occurs. Most companies do not regularly test their backup system to ensure that it is properly backing up their data for safekeeping. In many cases, it is only when a company experiences a disaster or crisis that they realize their system hasn’t backed up their data for months on end (due to hardware failure or human error). On top of this, staff is in frenzy as to what to do, where to go, who to report to, etc. 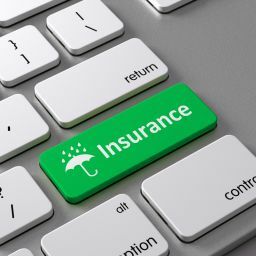 This is why many organizations invest in a Business Continuity Plan and Solution; to minimize the disruption of any disaster or crisis to keep a business from functioning as usual. For some definitions of Business Continuity terms, check out our previous blog. For more information on Business Continuity Planning at your organization, check out this great article written by Kamesh Ganeson, ‘A Guide to Business Continuity Planning‘.